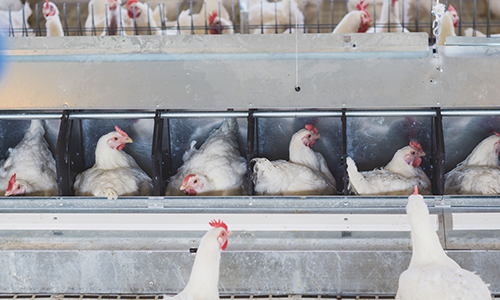 Single hole laying nest designed for the next breed of breeder hens. 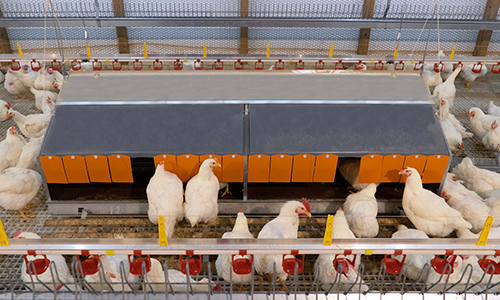 The ideal single-tier group laying nest for broiler breeders. 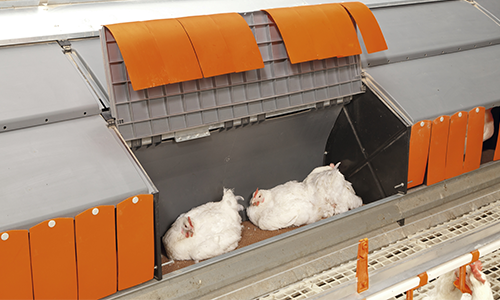 Winchable group colony nest for broiler breeders.